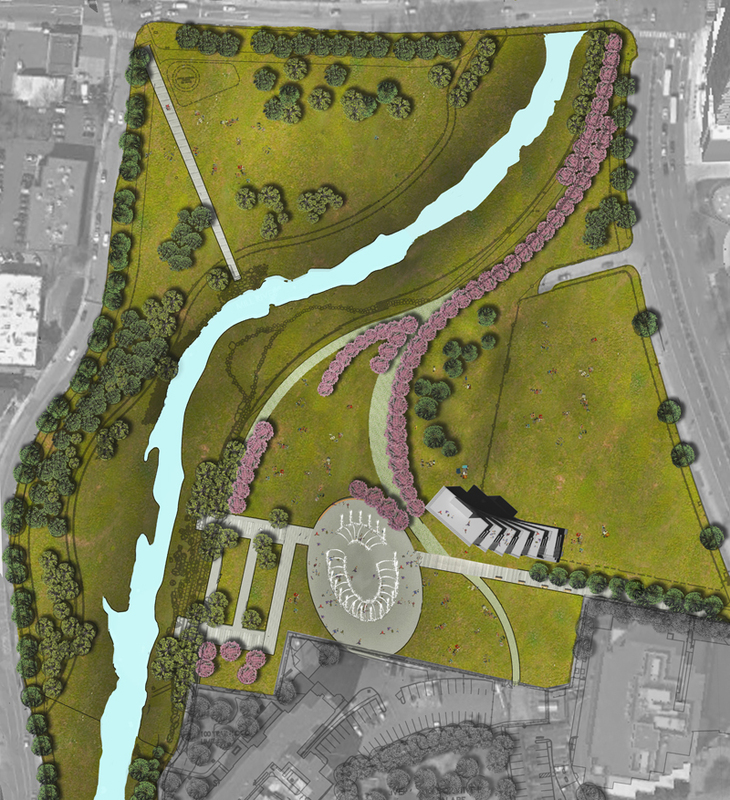 This open-air ice rink, fountain and park building complex will be located in the heart of the 28-acre Mill River Park located in City of Stamford, CT, at the lower reaches of Rippowam River. The team’s vision was to create a fun, inviting building with maximum revenue generating capabilities with minimized energy usage and maintenance costs. 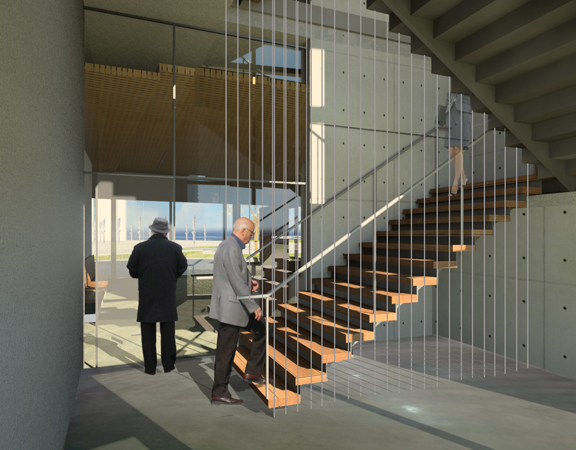 With larger spaces required on the ground level, it was natural to elongate the building with multiple outdoor steps and landings to reach the observation deck that will also serve as a rentable event space. The building provides various experiences and perspectives of the overall park. The program of the building includes a restaurant, skate rental, multiple event spaces, and future Mill River Collaborative office. During winter, heat generated from ice making will heat the building. During summer, snow-melt system on the roof will be reversed to harvest the heat from the roof to provide hot water for the restaurant. The fountain water will also become a heat sink for the roof. 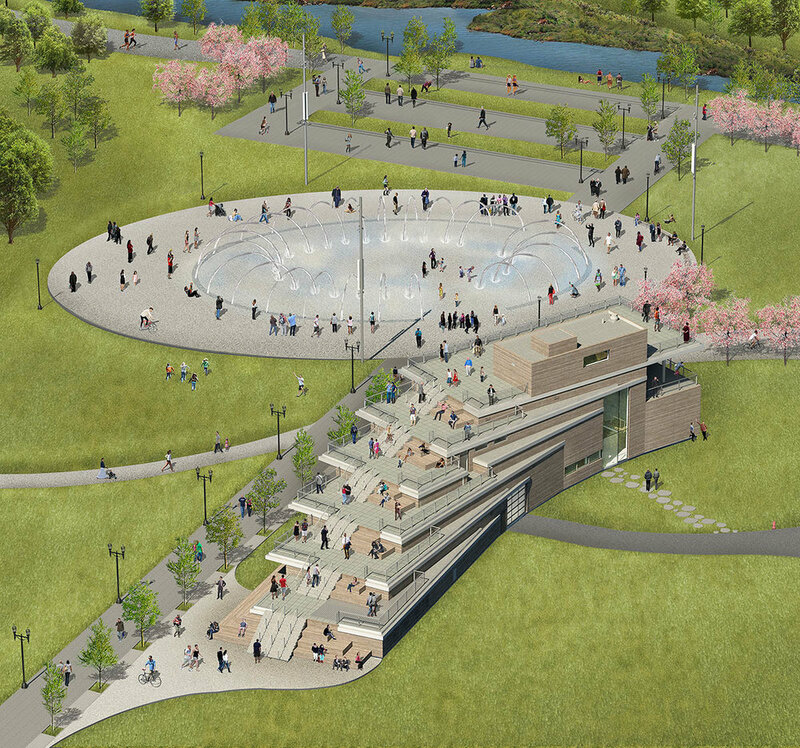 The outdoor skating center is to bring back the traditions of skating on Mill Pond that once existed in Stamford. The goal of the interactive fountain is to activate the center of the park during warm months, delighting the visitors of all ages. Bid package for the Ice Rink and the Fountain will be available in summer of 2017. The fountain to be open during summer of 2018. First skating season to open in winter of 2018. Park Building to be redesigned in the future.